The weaving has slowed down a bit, as there has been an issue with the new sectional beam: it has a ratchet brake, and I HATE it. First, it does not work well and lurches when engaged. Second, even with adjustments from Macomber (who have been great! ), it still does not work well enough to suit me. Third, I originally ordered a friction brake because I knew I did not like ratchet brakes, but the master craftsman at Macomber (Eddie) called when he was building it and strongly suggested the friction brake I wanted was a bear to install and he recommended a ratchet brake. Against my grain and better judgment, I deferred to his experience and expertise, although I immediately regretted it and lamented the same to a dear friend... Little did I know what a nightmare it would be. At the moment, I am awaiting the friction brake I originally ordered. Again, Macomber has been amazing with their customer service and support. Please say a small prayer it is a rather small bear to install. Thus, the big Macomber Beast has been sidelined. I could warp it using the plain beam, but I doubt I would have anything finished in the week or so it would take the brake to arrive. The small Macomber I bought a couple of weeks ago, has not yet shipped, although we may have a pick up date from the seller of Tuesday next week! 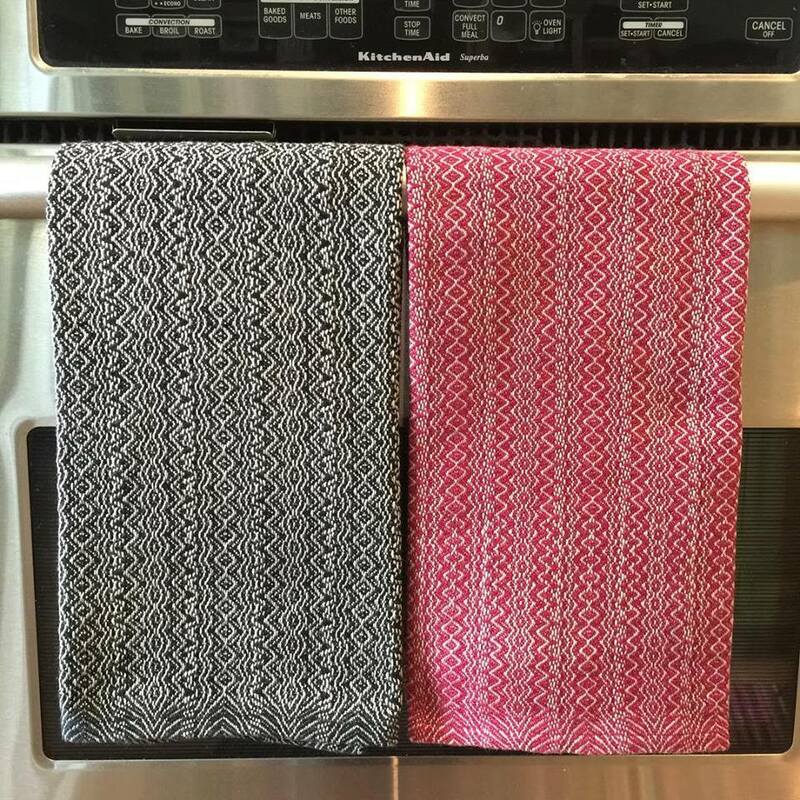 At most, I washed and hemmed a few towels from my last project. The husband is a board member for GRTU (Guadalupe Trout Unlimited). In two weeks, they host Troutfest! As he is the Loom Whisperer and my biggest weaving fan, I thought I would return the favor and offer two pairs of tea towels for their silent auction. It seems as though there was to be an online auction, as well. It will go live a week prior to Troutfest on GiveSmart. Once I get a live link, I will share. 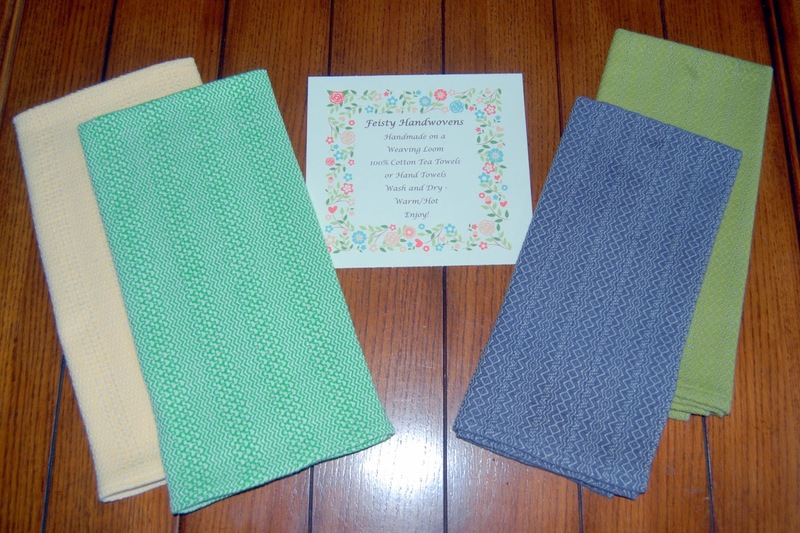 The two on the left are from my latest project and features 10/2 cotton warp and 8/2 cotton weft. The draft is #728 from "A Weaver's Book of 8-Shaft Patterns" Edited by Carol Strickler. 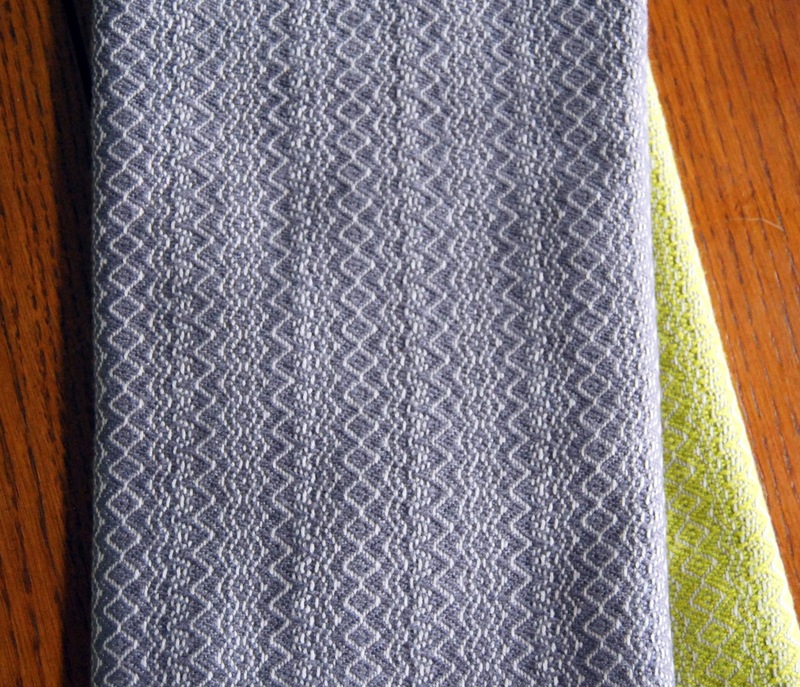 The pattern does not show up as well in the lime green as the grey, but I think the combination is very modern. 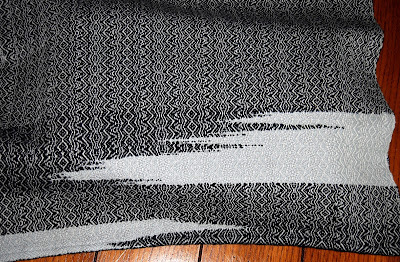 I would have had 9 or 10 tea towels in this pattern, if I had not fallen in love with using black 8/4 cotton rug warp as weft and decided to make panels for a wrap skirt. 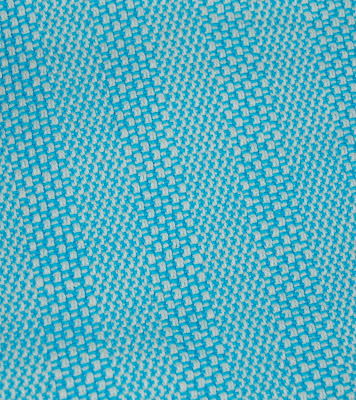 The weight and feel of this fabric are amazing! 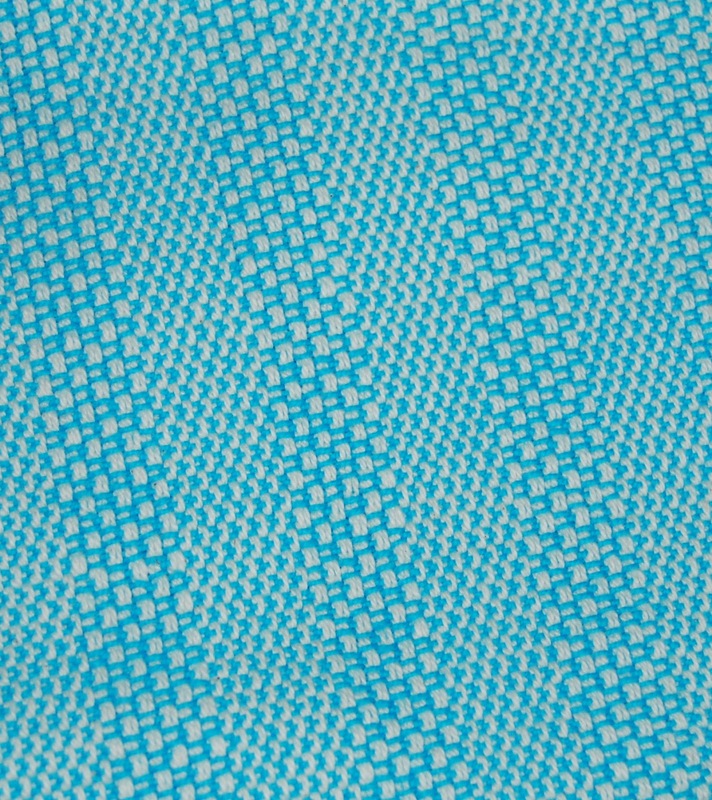 All that remains is for me to find a pattern or otherwise figure out how to make the skirt I have in my brain. 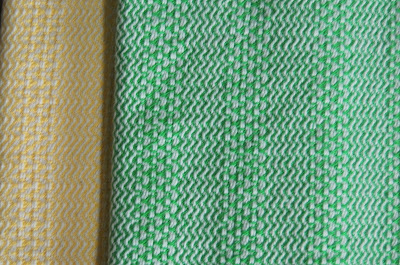 This pair came off the loom before the warp was finished. The burgundy is made with 10/2 cotton warp and weft, which made a fine, luxurious towel. 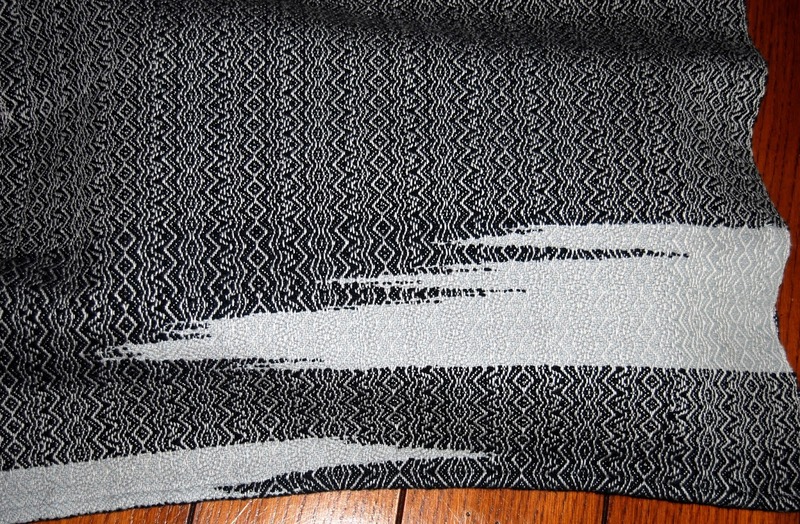 The black is the same 10/2 cotton warp with 8/4 cotton weft, which gave me the idea for the skirt. I also tried my hand at a bit of clasped weft weaving. It was a bit trickier because it used double strands of weft. 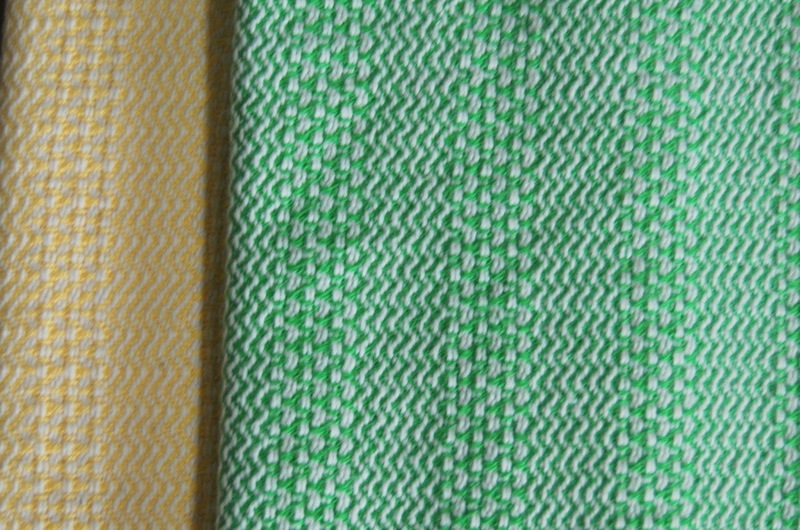 The clasped weft parts used 8/2 cotton, but the solid body areas used the 8/4. 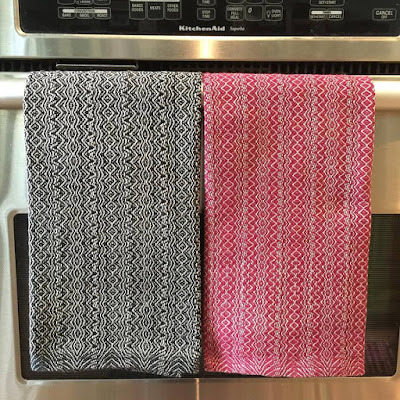 While I liked the results, I found the process tedious, particularly for towels. 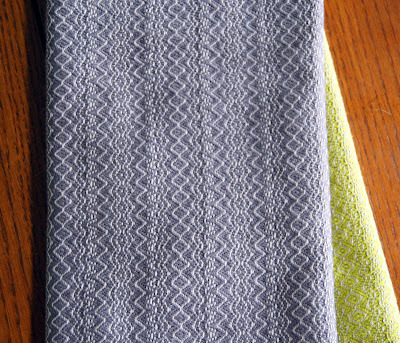 Perhaps, for a shawl or other very special project, but not for towels that I intend to use in the kitchen. Also, the double strands of black 8/2 appear darker than the black 8/4. I realize now I should have used a double shuttle and continued with 2 strands of 8/2 throughout. 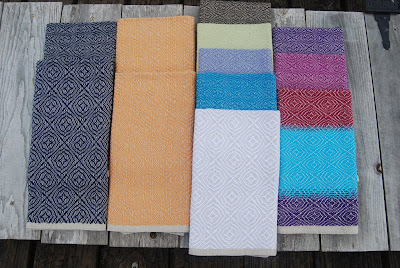 The second set are a 4-shaft pattern called Peaceful Rhythm Towels in 8/2 cotton warp and weft that I made a couple of years ago and tucked away. 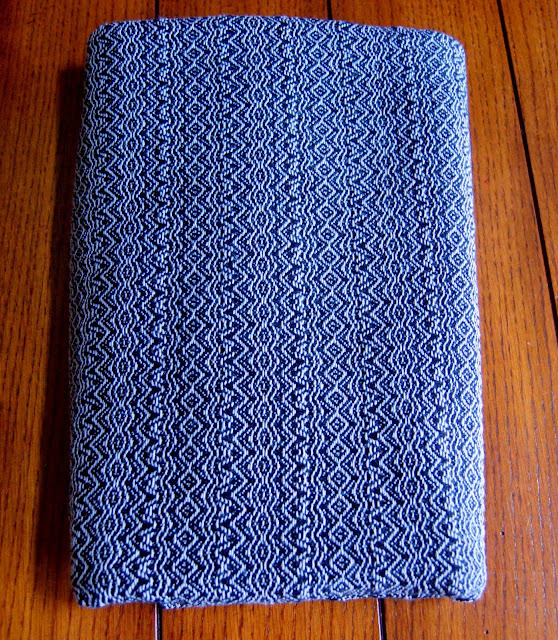 To show just how selfish I am, here is the blue Peaceful Rhythm Towel I could not bear to part with. 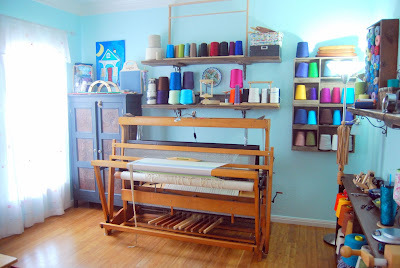 With the loom down, I had originally intended to visit about knitting today. Alas, that post will follow shortly.